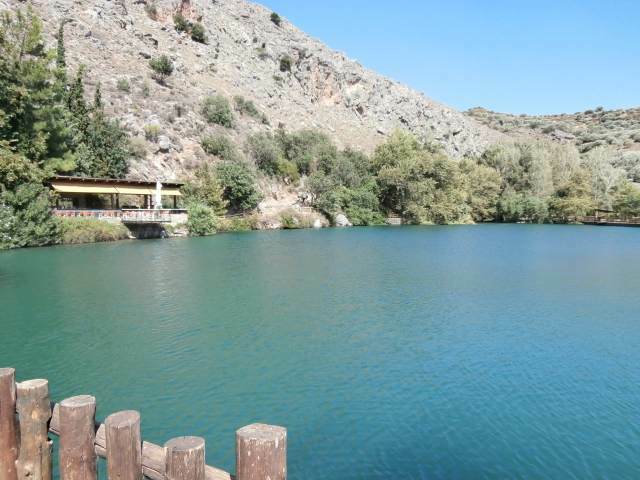 The pretty Lake of Zaros or Votomos is locates 45km southwest of Heraklion and about one hour drive from the city. 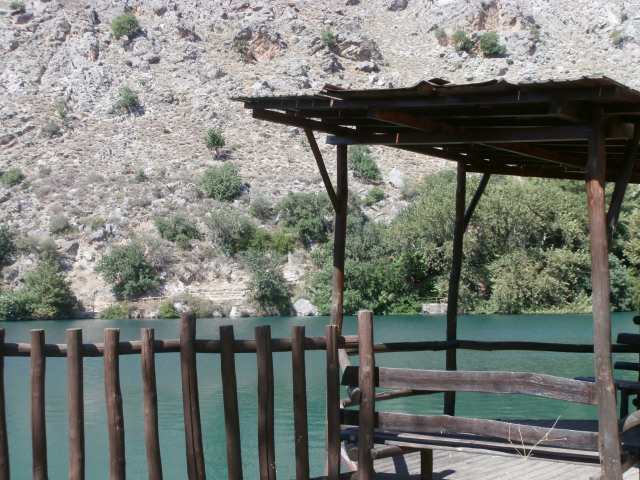 It is an artificial lake on the southern slopes of mount Psiloritis, created by the Forest Service in 1987 to store the spring waters that gashed from the 3 springs. 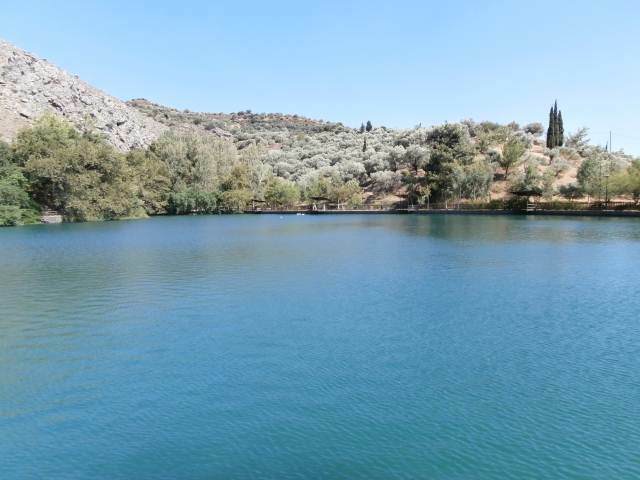 Before that time the area was a small biotope filled with olive trees and almond trees the tops of which can still be seen growing in the water. 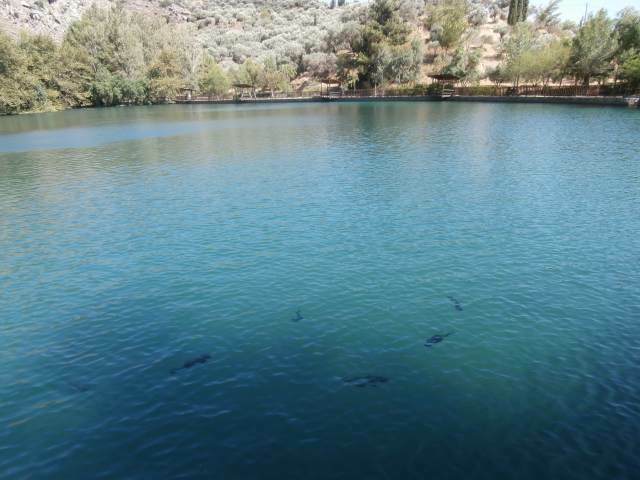 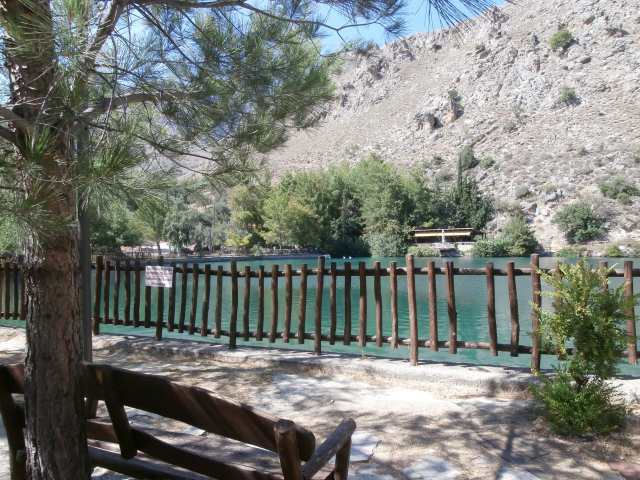 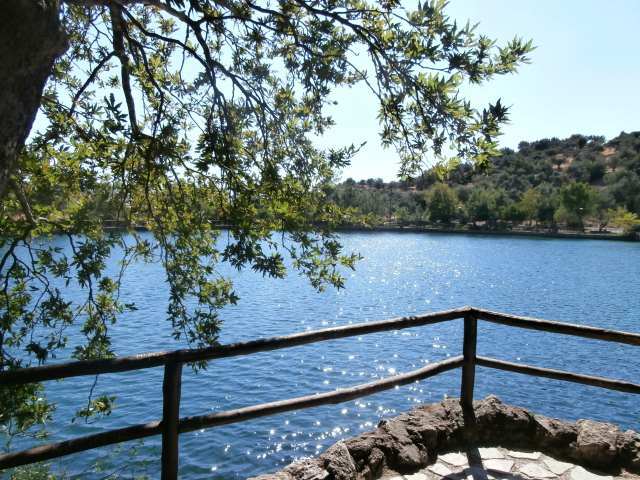 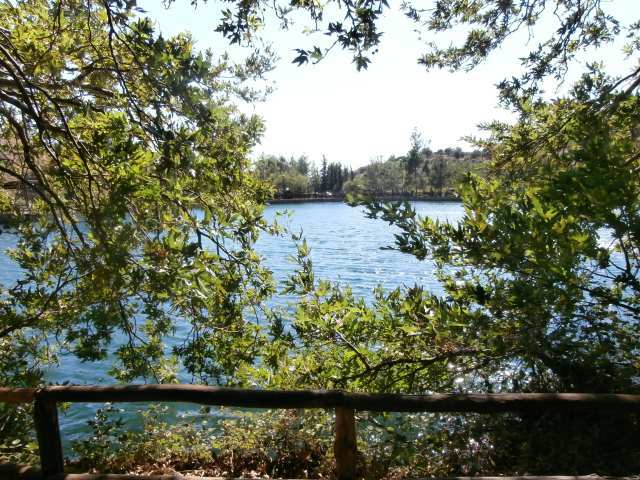 Nowadays the lake is surrounded by olive trees and carob trees which make the perfect picnic setting providing several benches and tables around it in ample shade from the trees. 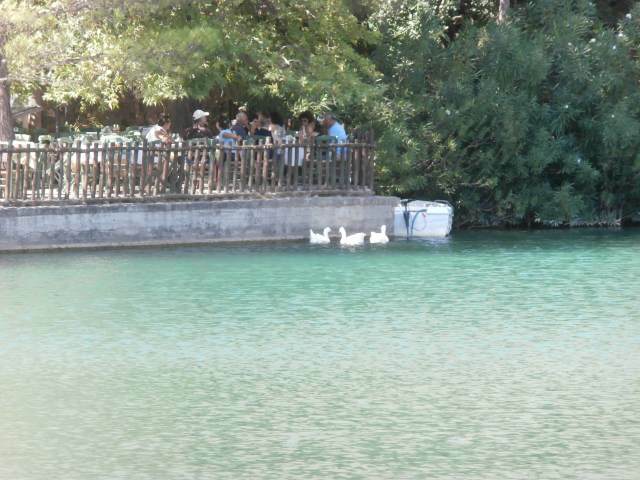 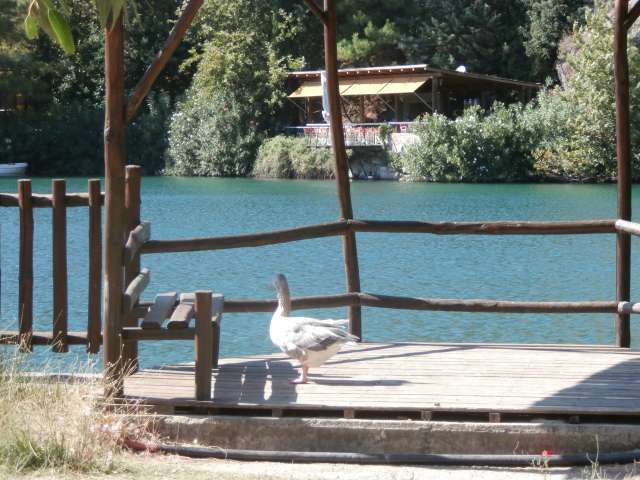 There is also a cafe and a restaurant by the lake with ducks and geese longing for your excess of food while you rest. 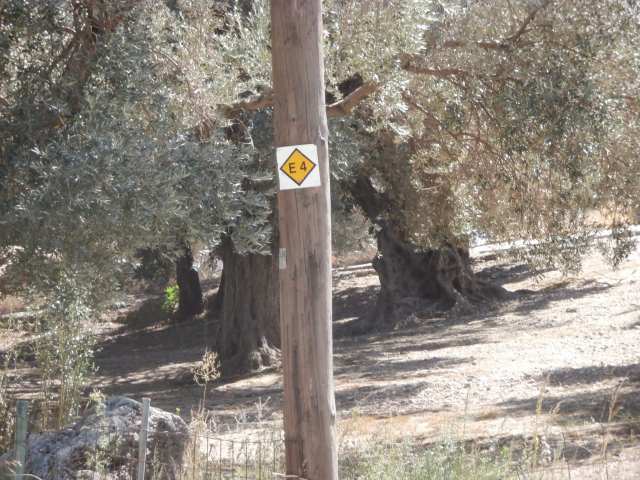 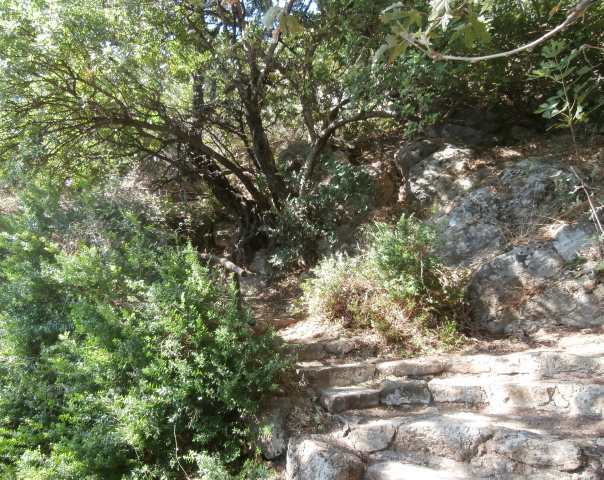 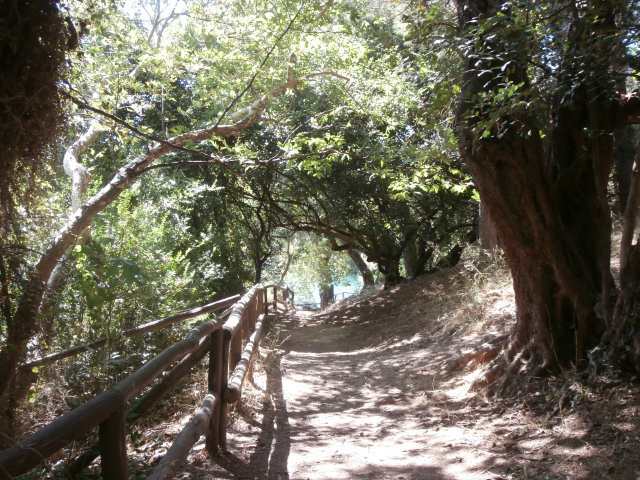 For hikers it is recommended to walk up the Rouvas gorge and the Monastery of Agios Nikolaos.